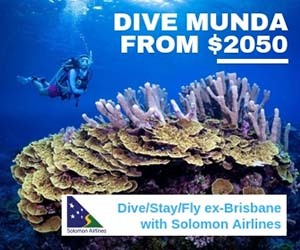 Lawadi Beach is a classic Papua New Guinea muck dive starting out from a pebble beach which transforms to black sand and mud. Shelving slowly to about 7 metres where it drops more steeply. 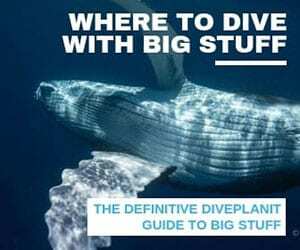 Plenty to see in isolated pockets scattered about. On the pebbly sand heading down the initial slope there are isolated anemones. 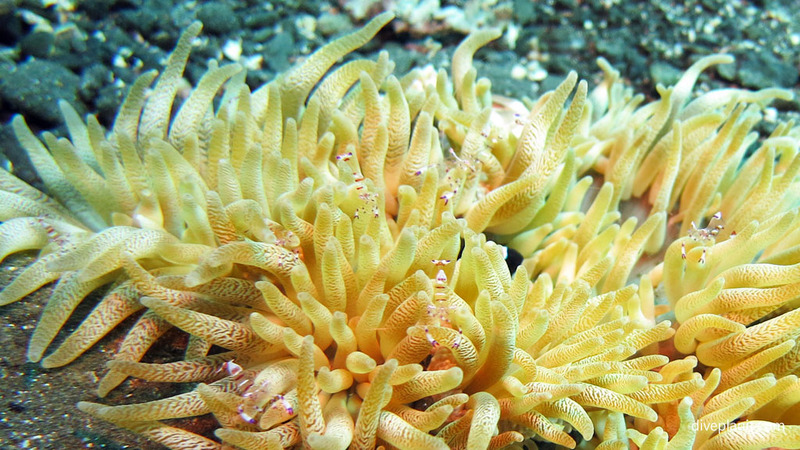 There are commensal shrimp living in some of the anemones. 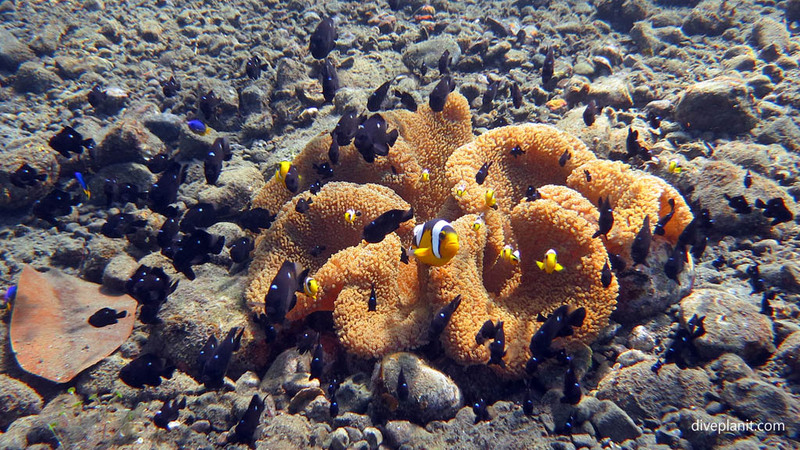 Different anemone species play host to different anemonefish and shrimp. 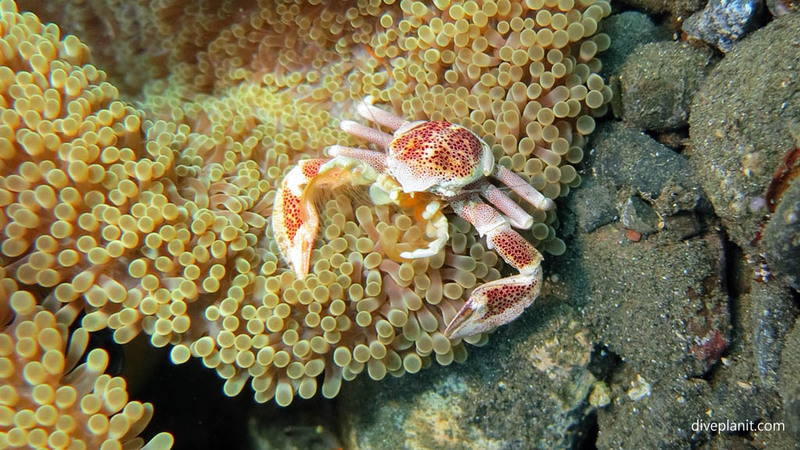 And of course the Porcelain Crab loves their particular type of anemone. 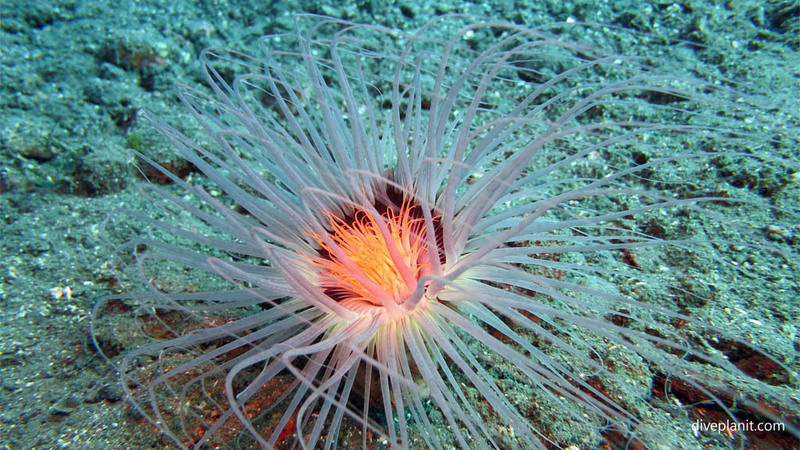 There are tube anemones too, which if they are out make good photography subjects. 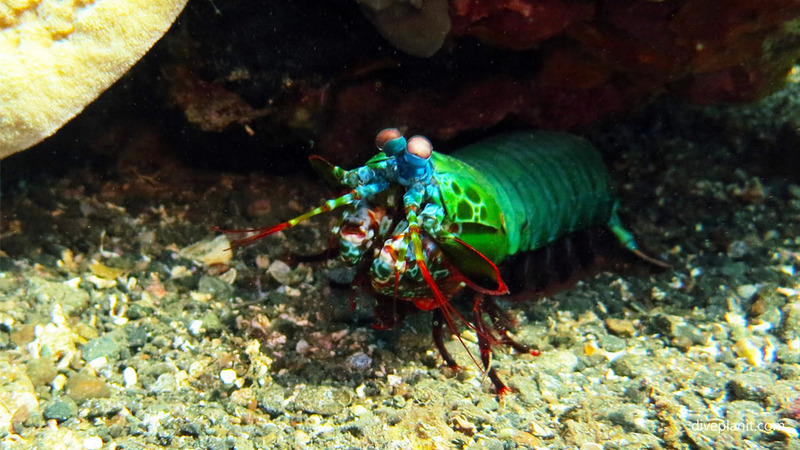 Another good and colourful subject is the Mantis shrimp – I think this is a peacock. Especially if they can be persuaded to come out of their hiding place. 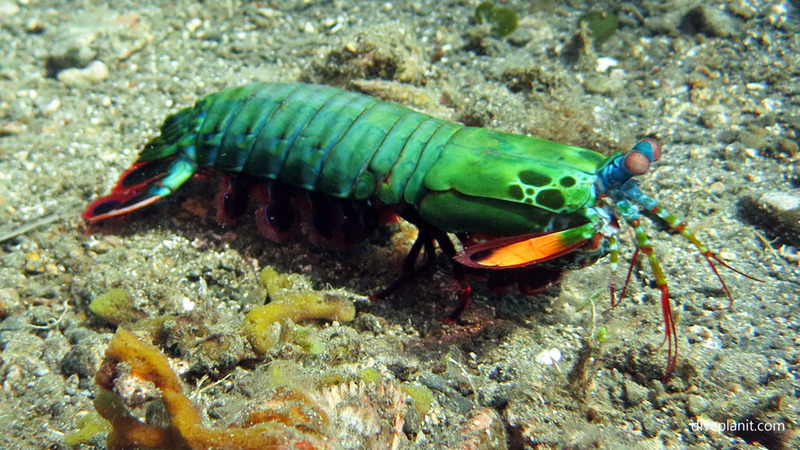 Lawadi Beach is the kind of place where you find some of the most colourful Nudis around Milne Bay. 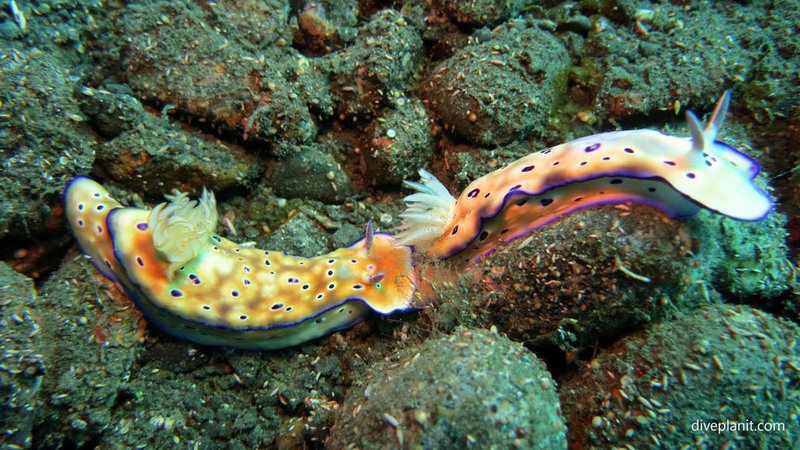 Here is a pair of Kunies chromodoris playing ‘Nudi Train’. 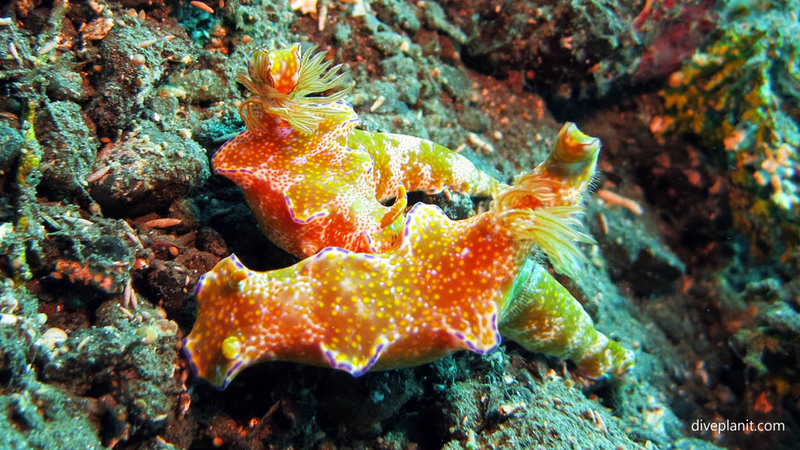 And here’s a pair of some kind of Risbecia … playing at something else.